Ascension’s Food Shelf Ministry helps people who come up a little short on groceries. We are not an official food shelf, but we can be a resource for some. 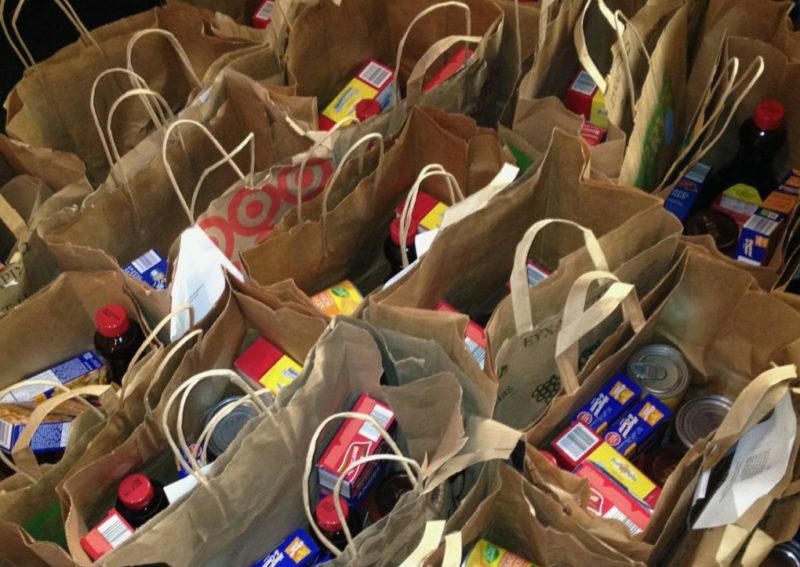 The parish office distributes a limited number of bags of groceries on Tuesdays and Thursdays. Grocery bags are also available once a month after each mass. Ascension distributes between 125 and 130 bags of groceries each month. Food bags are also given to school families in great need, and others are given to the Visitation Sisters to distribute. Out-dated baked goods are distributed weekly after Sunday Masses. Grocery store gift cards are occasionally distributed to those in special need. Gifts from members of the Church of Christ the King help purchase gift cards. Also, gifts for the Food Shelf Ministry is collected at Ascension’s 9:30 mass each Sunday. We welcome gifts to this important ministry. Groceries can be brought to the Parish Center. Cash gifts can be made online; please designate "food shelf" in the other category.